I felt an excitement at the U.S. Conference on AIDS (USCA) that I hadn’t felt for a while. We’re at the start of something new, something important, that’s just starting to catch fire. I can’t tell you how many conversations I had with government, national, and community leaders last week at USCA about what treatment as prevention and PrEP mean for our work and our lives. The implications of the most recent data released at the International AIDS Conference regarding treatment as prevention and PrEP are starting to take hold. Follow up of HPTN 052 found no cases of HIV transmission from someone who was virally suppressed, adding to the evidence from other studies. Studies on PrEP reinforced that it is more than 90% effective when taken as prescribed. People who have near-perfect adherence to PrEP have even better results. If we embrace these new data and follow the science, we will be able to change the course of new HIV infections, save lives, and drive down stigma. After that discussion, I had the privilege to be a part of a powerful group of speakers who took the stage for the closing session of USCA. The session focused on the new opportunities that treatment as prevention and PrEP have given us and some of the progress that has been made. It capped off a week that was personally meaningful for me. I turned 52 on the eve on the conference. It was a birthday that I didn’t expect to have when I was diagnosed with HIV more than two decades earlier. The last day of the conference would have been my partner John Piontkowski’s 52nd birthday. John died when he was 29, a little more than a year before highly active antiretroviral treatment became available in late 1995. I felt that I had to honor him at the closing session and speak from my heart. I spoke about the implications of treatment as prevention and PrEP for preventing new HIV infections. I spoke about what it means to me as someone living with HIV. I attempted to communicate the significance of these data and the potential of the new opportunities that are now within our grasp. I also spoke about some of the barriers and challenges, such as the disparities in access to care and viral suppression that young people, transgender women, African Americans, Latinos, Native Americans, people who are homeless, and others experience. 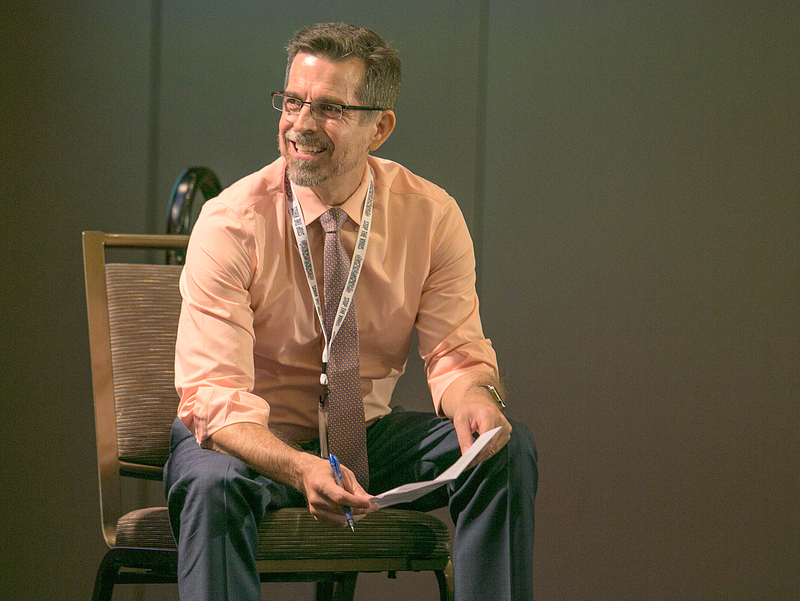 It was also a time to reflect on the need to reframe how we think about the roles and responsibilities of people living with HIV, providers, and health care systems. We all share in the responsibility for ensuring that people living with HIV achieve viral suppression and that we all do our parts to ensure that everyone, not just some groups, benefit. Most importantly to me, it was a time to reflect on the strength and power that we have as individuals and as a community. In fact, people living with HIV are the key to ending the HIV epidemic. Each of us has the power to ensure that HIV stops with us. We have to recognize and claim that personal power. We also have to hold our providers and health care systems accountable for providing high quality, easy-to-access HIV care that is results driven and supports the whole person in achieving viral suppression. This is a unique moment in the history of HIV. It is our responsibility to ourselves, and to future generations, to seize the moment and do everything that we possibly can to ensure that we make HIV treatment available to those who are not receiving it and that we help as many people as possible get to viral suppression. If we meet the challenge, we can change the course of the epidemic, prevent new HIV infections, save lives, and stomp out stigma.